There's a new market coming to town titled SHWICK, whose motto is for everyone to "B U." Get it? B-U-Shwick. Yep. And it will start on October 11th and will take place every other Saturday and Sunday 10AM to 8PM until December 21st. The location will take place on 286 Meserole Street, 2 blocks from the Montrose L Train! We spoke with one of the creators of SHWICK, Chris. He said that he feels the "timing is right" for a market in Bushwick. Dallas: So, why did you start the market? Chris: We've done a lot of markets. 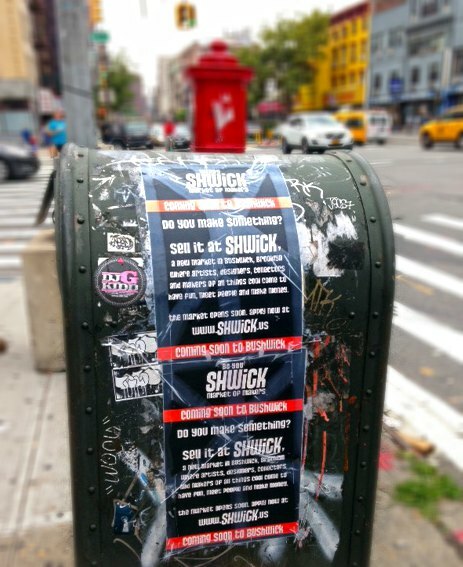 We've been vendors ourselves for a long time, and Bushwick is an awesome place. It might a little early to have a market, but actually I think it's perfect. There's a lot of markets in Williamsburg. It's kind of flooded and crowded, and I'm sure Bushwick will change more, but I think this is a good time for a market before it changes too much. There's a lot of creative people. Hopefully we can help those creative people grow. Will this just be a place to shop, or will there be other things to do there too? We're looking to have a bunch of other things. We're still planning the first couple of weekends. We're gonna try to make it as big of an opening as we can. We're planning to grow but we'll definitely have music and entertainment. We're looking to get some really talented musicians who play in the trains and on the platforms rather than big bands to start with. We won't be like Smorgasburg, but there will definitely be food there. Any vendors you're particularly excited about? We'll be announcing all of our vendors and location pretty soon, probably on Monday. We're wishing these guys the best of luck. The market sounds pretty cool, giving vendors an opportunity to pick their dates for $50 a pop, and it'll be up and running every weekend day starting October 11th. And they'll be open late, til 8 p.m., so you can shop before lunch or even after dinner. Go hang out! There will be at least 40 vendors, but maybe even up to 150. If you're interested in vending, you can apply here. And be sure to check back on this post with updates and future announcements about SHWICK! SHWICK has released a list of their vendors and told us that because of the overwhelming response, they'll be pushing back the launch date to October 11th. They want to launch with a BANG. However, they won't be announcing the location until October 1. They also officially released their names, Christopher and Jinyen Carew. They're the founders of Class Attire, the creators of The Chalkboard Tee and have done markets nationally. 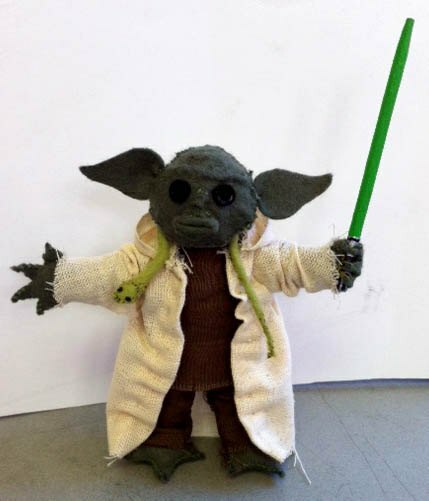 Out of all the vendors, I'm most excited about eBinard Designs, who created this awesome felt-Yoda-thing. And don't forget, if you want to vend at the market, visit SHWICK's site! Photo via eBinard Designs' Etsy. SHWICK has announced their location: 286 Meserole Street. The warehouse is located 2 blocks from the Montrose Ave L. stop. To welcome the market, and give it the proper aesthetic, SHWICK is throwing a huge street art show on October 2nd called "Art Hustle." It will include at least 50 street artists, many from Bushwick. Stay tuned for more updates!